5. 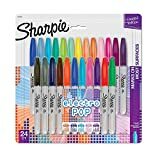 Sharpie Fine Point Permanent Markers - 24 pk. 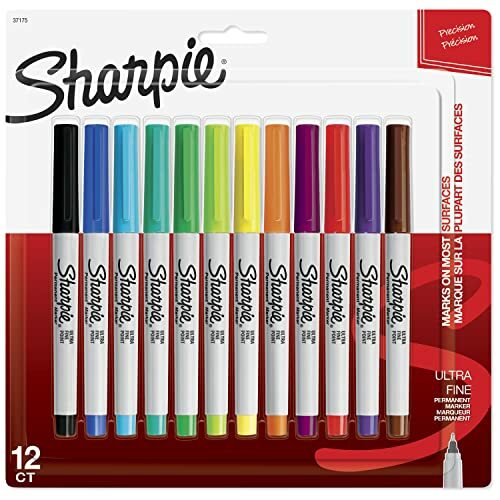 It seems pointless or even funny to review something as common as a 12 pack of Sharpies. The fact of the matter is it's worth reviewing. 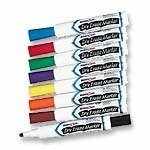 These are high quality permanent markers. 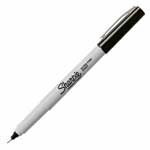 Without a doubt Sharpie is the trusted name in permanent writing utensils. 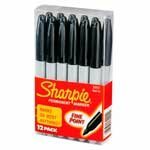 During my entire life I have been calling black permanent markers as Sharpies, a testament to its popularity. 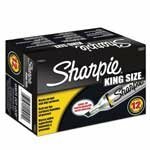 The reason Sharpie is so good is that it is completely safe, and highly permanent and very reliable. For anyone worried about ingestion, or eye contact, or even any other safety situation with a Sharpie, should rest assured. 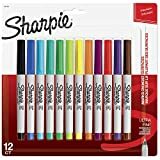 Under all normal circumstances Sharpie is very safe, in fact if you want more information it can be easily accessed from their MSDS (Material Safety Data Sheet) readily available on their website. 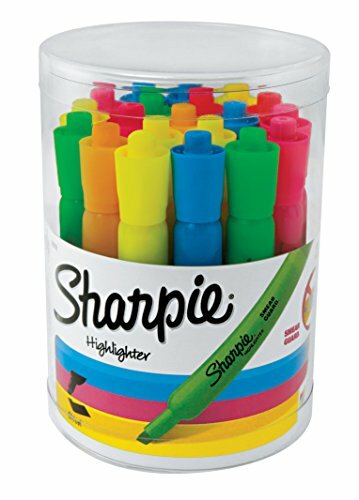 Although I myself have been using Sharpies to identify my own clothes, Sanford (the company that produces Sharpies) highly recommends not using it on clothes as it can run or bleed in the wash, and also after time it may leave a yellow halo around the marking. Although Sharpie claims that it will "remain permanent under most chemical washes, and extreme heat and steam (up to 500 degrees F)" it is possible to remove it form clothes. They claim that stain remover can work, but to use extreme caution. A detailed summery of how to clean a stained garment can be found on their website FAQ. Sharpie is the highest quality permanent marker I have ever used, it is used frequently in my workplace, and is always reliable. I suggest it to everyone; it is also made in the U.S.A., which presents a trusted quality. A very good permanent marker, 5 out of 5. 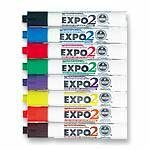 I use this marker on my socks.I write an "S" on the bottom of each sock to make sure that no one else attempts to claim them.Wash after wash, the letter is still there. I also use it to write in my school books.I'm in college and books are very expensive.I write my name in all of my books, as well as on my notebooks and disks. I have accidentally gotten this on my hand more than once.I just wash my hands with soap and water.It may take 2 or 3 hand washings to get it off. 8. 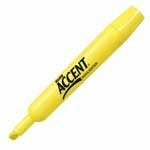 Major Accent Assorted Highlighters - 20 pk. All my creations start with a Sharpie Ultra Fine Point and a yellow legal pad. I know of no other way to get the images that rise in my head into the "real world", and following the initial "idea" stage, Sharpie helps me work out the perspective and the composition, keeping up with me at a fast pace and supplying a constant flow of ink; Sharpie takes my abuse in stride too, as I'm heavy-handed with a pen. 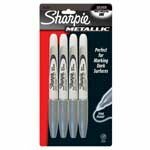 The Sharpie Ultra Fine Point is also excellent for line drawings, and ideal for making greeting cards. Once my painting has been completed, Sharpie once again is called into action, to label the slides and photographs that I take of my work. Sharpie Ultra Fine Point is the only pen I have found to clearly and without smudging write on the tiny space given on the edges of a slide. After the picture is framed, Sharpie is perfect for writing the title, medium, etc., on the back of the piece, and once you're famous, you'll need lots of Sharpies for signing autographs. 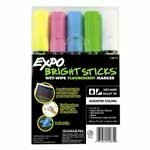 Marker features built-in replaceable eraser for quick and accurate erasing during use. Comfort grip on barrel makes writing effortless. Easy-Grip cap makes capping easy. I am a college student and found that I tend to do much better in my classes if I at least make an attempt to read the book. I bought these because of the price, but was very happy with them. 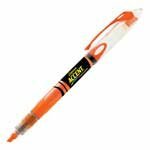 I used Bic highlighters last semester. They worked okay, but during finals when I was highlighting like crazy, they would die. I bought another set, and they too, ended up in the trash. These have yet to die on me. I usually carry at least 2 yellow highlighters in my backpack, just in case someone asks to borrow one.I also have 2 yellow highlighters that I keep at home, but in case I don't get it back.